Read about our recent yacht deliveries, with photos and customer testimonials! Need a Skipper? Or even just extra crew for a tough passage? We are well versed with Classic, Vintage and Spirit of Tradition Yachts. 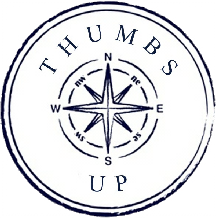 At Thumbs Up Sailing Yacht Delivery we pride ourselves on a tailored service, meeting the specific needs of both yacht owner and yacht. We understand that every yacht and passage is different and therefore requires a different approach. We’re committed to providing an honest and transparent service to allow for NO SURPRISES! We operate throughout Europe and the UK. Our skippers are experienced with many different boats and routes. From Classics to modern high speed Tri-marans. Safety and Professionalism are paramount for us. 24hr Shore Support and Live Satellite Tracking giving the skipper all the necessary tools to keep both yacht and crew safe for the entirety of the passage, regardless of how tricky the sailing area. All our Skippers come with references and Skipper Liability Insurance. All crew are cleared with the yachts Insurance before the Departure Date meaning that in the unlikely eventuality of an accident all parties are covered. Please feel free to read about some of our latest deliveries below or get a quote by clicking the link below! This was a job well done by a highly professional crew. Whydah of Bristol arrived back at her home port in excellent condition and ready for viewing by potential purchasers. Thumbs Up! An excellent yacht delivery service that surpassed all our expectations. Absolutely recommended!! I was kept fully in touch with progress with the tracker and with email updates from their shore support team. Great job – THANK YOU!